A PWYW strategy helped Tony Sauer of Urban Canine Doggy Day Spa clean up. When the spring dog-park dirt starts flying (leaving Fluffy and Fifi a little less than clean), the brush-to-brush competition among Chicago's dog groomers heats up. 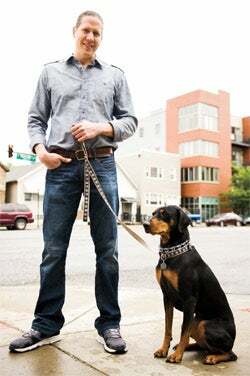 Tony Sauer, who opened Urban Canine Doggy Day Spa nine years ago, was wondering how to set his shop apart. The answer came to him after talking with a customer who had just lunched at a pay-what-you-want (PWYW) Chinese buffet. At first Sauer wondered if adapting such a pricing model for his business would be foolish. What if people only offered $2, rather than the $18 customers usually paid to use his self-serve wash stations? But then he realized a PWYW promotion could be just the competitive advantage he needed to get new clients sudsing up their pups at his shops. And how much did customers actually end up paying? "It averaged out to be about the same," Sauer says. "Most of my customers would just throw a $20 bill at me and say, 'Is that OK?'" More than OK, it turns out. The program doubled the traffic at Urban Canine's self-serve stations, bringing in an additional $500 to $750 each week it was offered. 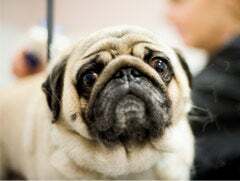 What's more, once they were in the shop (and realized how much work it took to return Fido to his pre-mud glory), many of the new self-serve customers became clients for pricier, full-service grooming. Sauer's PWYW bump won't translate to every business. This isn't generally the model for companies selling a physical product, says Tim J. Smith, managing principal of Chicago-based strategic pricing firm Wiglaf Pricing, since "with tangible products you can take a huge loss if people decide to pay nothing." But for others, the strategy may be savvy. Smith says the dog-washing business cleaned up with the PWYW offer because of one key factor: "Customers had some sort of a direct relationship with the seller. When the seller is seen more as a corporation, or as a franchisee, it probably wouldn't work as well." Tempted to test a PWYW strategy for the short or long term, but worried that it'll have your books seeing red? Figure out how (and possibly when) you'll stop the promotion before you hang that banner over your door. Think through the offer, its messaging and how you will wrap it all up in a way that won't harm your relationship with customers. Whatever you do, make sure your customers don't get the sense that you're blaming them if you have to pull the plug on your PWYW plan. Publicize the change in pricing in a way that doesn't make customers feel they weren't pulling their weight, says David Curry, professor of marketing at the University of Cincinnati Carl H. Lindner College of Business. "Being transparent with your decisions is important," he says. There's at least one exception to that understanding: Panera Bread. The company, which operates more than 1,500 bakery-cafes, has three nonprofit PWYW Panera Cares outlets that democratize restaurant dining. PWYW success on the nonprofit front meshes with experts' understanding of why the pricing model works: There's a personal and emotional component to pay-what-you-want pricing. It's a strategy that thrives on consumer perception of fairness. "People have a pretty strong sense that when they're in an exchange or an interaction with another person, they won't take everything and leave the other party with nothing," says Ed Fox, director of the JCPenney Center for Retail Excellence and associate professor at SMU Cox School of Business in Dallas. He adds that with PWYW pricing, customers are "in control; they're dictating the terms of the transaction, and it's their notion of fairness that determines what the price is." At Donna J. Selle's Boise, Idaho, acupuncture practice, The People's Clinic, customers pay what they wish on a sliding scale of $15 to $40--far less than the $60 to $150 per treatment charged by traditional practices. "My friends and family kept telling me they couldn't afford to come and get treatment from me," says Selle, who opened the business in late 2008. "It broke my heart. Then, thinking more about it, I realized I couldn't afford my rates either." Selle based her business model on guidelines developed by the People's Organization of Community Acupuncture, a cooperative in Portland, Ore.
"The idea is low-cost, high-volume," Selle says. She has made some adjustments to accommodate the PWYW strategy, such as having eight recliners in her treatment room, so the acupuncturist doesn't have to hop between individual rooms. "The treatment room feels a lot like a living room, or like a study or a den," she says. Pricing starts at $15, because that's what Selle needs to earn per client to keep the doors open. "The bottom number is easy, because the bottom number would typically be your cost to deliver the product or service, so your break-even cost," SMU's Fox says. "The top number, I don't know, but I'm going to conjecture here that it ought to be perceived at some level as fair." On average, Selle's clients pay $26 per treatment. "I actually have people who apologize to me for paying on the low end of the scale," she says. "And my answer to them is, 'No apology is needed; if it wasn't OK I wouldn't have it set that low.'" One client, a schoolteacher, "ended up giving me this big payment with a note saying, 'I got a bonus and I wanted to pass it along to you because of the "pay what you can," and I can pay more today,'" Selle adds. But can PWYW work without face-to-face interaction--the personal touch that keeps most people from trying to take advantage of the system? Yes, but with caveats. "People have a pretty strong sense that when they're in an exchange or an interaction with another person, they won't take everything and leave the other party with nothing." On the internet, the incremental cost of delivering software and music via download "is close to zero, or it is zero," Fox says. In the most well-known example of an online PWYW strategy, Radiohead released its 2007 album In Rainbows as a download with no set price. According to comScore, in the first month of the album's release 38 percent of downloaders chose to pay for the album (at an average price of $6); the rest took it for free. Experts recommend using PWYW online wisely. For example, startups can use it online as a tool to figure out a good price point for their product. "You have to be very clear that [the pricing strategy] is limited, and take it down once you finally determine what the price should be," Wiglaf Pricing's Smith says. "In the consumer arena, where you are trying to test a new e-book or you are testing a new game, or you are just trying to see if people care about this thing, it can work as a way to test the market, as a way to build talk about your product." In beta since October of last year, Illuum.com, an app that lets people "track, study and improve" their happiness, is doing just that. Founder Angus Woodman didn't want to monetize the app via advertising at first, but he did need to cover some basic costs. He also wanted to make sure that anybody who was interested in trying the app could do so. Illuum offers two opportunities to pay: upfront, or after a customer has used it for a period of time. In early testing, Woodman says, "we find the higher numbers are coming in after people have used it for a while." And when customers come to Illuum courtesy of a nod from a friend in the social media realm, they tend to pay even more. "When a social group picks up on it, the pay rates are incredibly high," he says. "We've had an instance where, say, 20 friends will sign up, and almost all of them will pay something." The service had 5,000 registered users by March and had collected around $4,000. It's not a huge figure (and about 80 percent of the users didn't pay a thing), but it was enough for Woodman to keep his startup going. He plans to take a good look at the numbers and decide how to handle Illuum's financials once the app's first anniversary rolls around. Meanwhile, he's happy to have earned enough to get his app into more users' hands. As he says, "I'd rather somebody use it and not pay than not use it at all."